Let me tell you about a vegan dish that's full of flavor, color, nutrients, and is perfect for meal prep for the week. 1. Heat olive oil in a large skillet. Add eggplant and onions and saute on medium heat until the eggplant is tender. Add more oil if needed. 2. 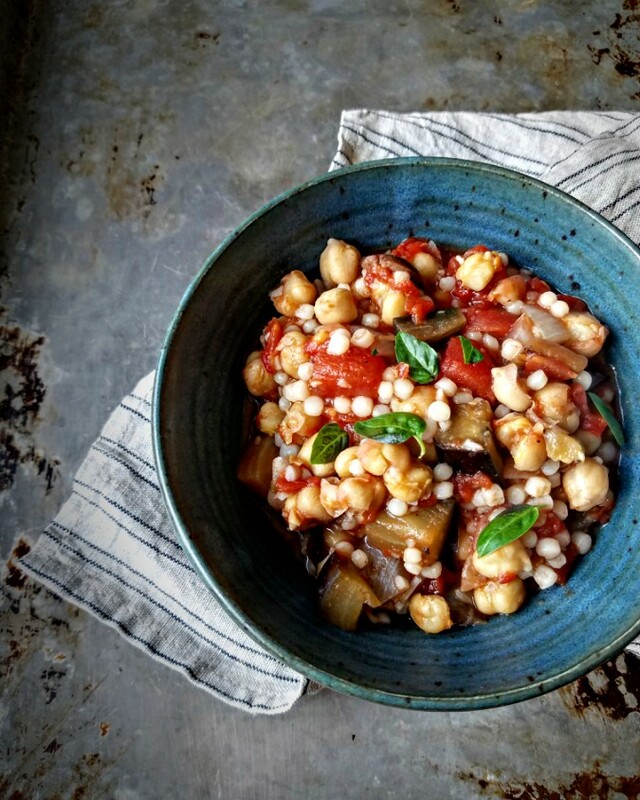 Add canned tomatoes and their juices, chickpeas, and olives. Season with salt, pepper, and red pepper flakes, and bring the mixture to a hard simmer. Simmer for 10 minutes. 3. Add cooked cous cous. Mix to combine.